3.The protection system of civil and industrial building electrical installation project. Smooth surface and small friction coefficient makes the pvc conduit pipe looks nice, and would not break the surface of the cable. 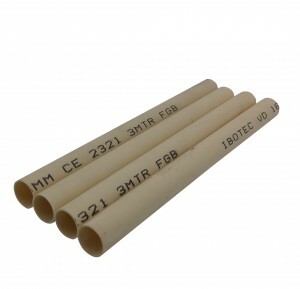 The especially chemical ingredient protects our PVC conduit pipe from gnawing by the mouse/insect. Highly insulated ability. Our PVC conduit pipe would not be breakdown in solid dielectrics, even if it meets 25KV galvanic revelation. Corrosion resistance: With good corrosion resistance, it is acid and alkali resistant .These PVC conduit pipe works perfectly during the erosion resistance testing. Fire resistance: Self-extinguish, do not support combustion.